Mumbai : Actor Shadaab Khan who started his career in 1997 with 'Raja Ki Aayegi Baraat', opposite Rani Mukerji and unlike his father Amjad Khan, he was unsuccessful as an actor in the Bollywood. Then he came back to Bollywood as a director in 2010 with the film 'Highway 203'. The latest is that, he said he is working on a biography on his father. Shadaab said in an interview that, "I am working on a book on my father and will start it next year. The book will have details about his professional and personal life. We want everyone to know about the great work he has done as an actor and how he was in real life." In his career spanning nearly two decades, Amjad Khan has worked in over 130 films but is best remembered for his iconic portrayal of villain 'Gabbar' in 1975 cult 'Sholay', which completes 40 years today. 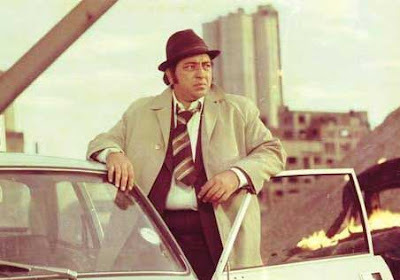 His other prominent films include 'Kalia', 'Muqaddar Ka Sikandar', 'Yaarana', 'Barsaat Ki Ek Raat', 'Des Pardes', 'Nastik', 'Satte Pe Satta', 'Dada', 'Laawaris', 'Ganga Ki Saugandh', 'Hum Kisise Kam Nahin' and 'Naseeb' among others. With a trend of biopics made in the film industry in the recent past, Shadaab said he wasn't sure if he would allow anyone to make a biopic on his father. When asked about it, he said, "No one has approached me yet for the biopic. Whenever it happens we will see." Shadaab, who made his acting debut with Rani Mukerji in "Raja Ki Aayegi Baaraat", said he is proud of achievements of his father. "He was a strong performer... he did landmark films. In real life he was a very down to earth person. He taught us to stay humble in life," he added.